Hawker Hart K3897 was built by Armstrong Whitworth and was first issued to 602 Squadron in mid-1934. It then passed to the Royal Air Force College at Cranwell; but on December 5, 1936 it lost out in an argument with a wall during an approach to Barkston and its flying career came to an end. 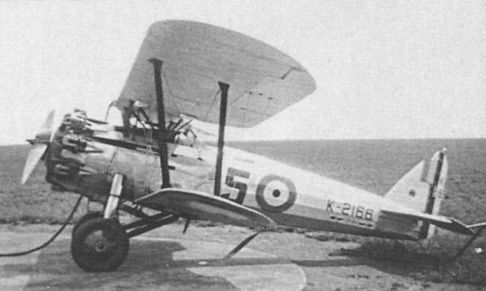 Though superseded by the Hawker Hind and other types at home the Hart light bomber lingered on at the North-west Frontier of India until the outbreak of war in 1939. 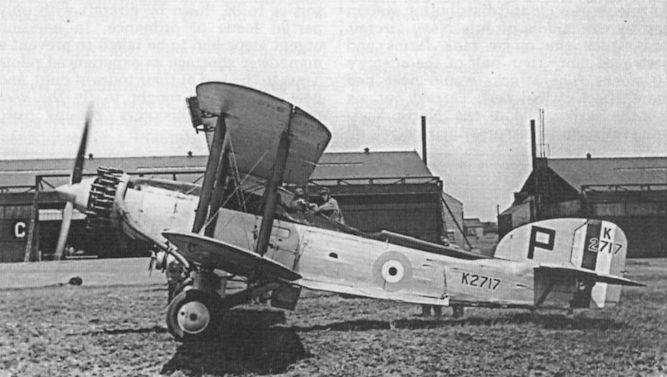 Bristol Bulldog IIA K2166 was first delivered to 19 Sqn towards the end of 1931. 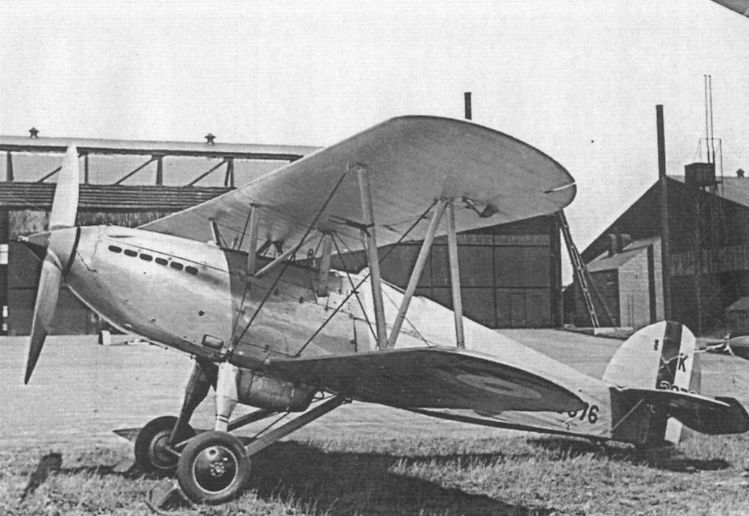 After a period with the RAE it arrived at the Royal Air Force College, where it remained until October 21, 1935, when it was destroyed after failing to recover from a spin. 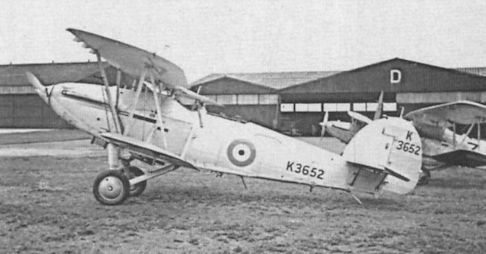 Avro Tutor K3213 spent most of its flying life at the RAF College. In May 1938 it was grounded and given the serial number 1063M. 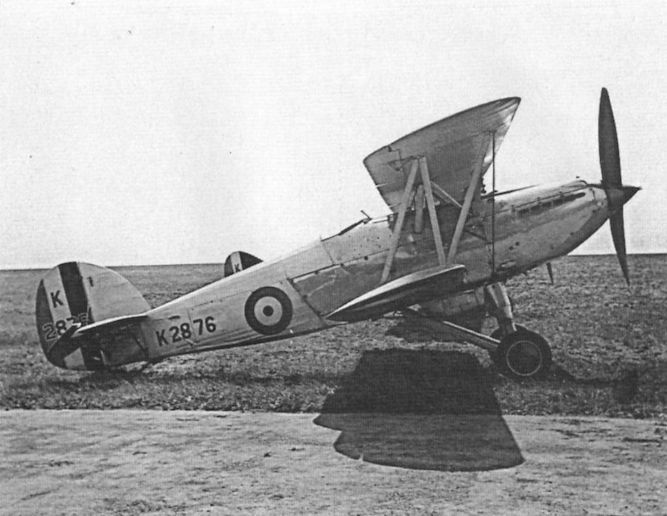 This Hawker Osprey III carrier-borne fighter, K3652, is seen high and dry at Cranwell during a visit there in 1935. It was delivered to 802 Sqn FA A in 1934 and ended its days at Orkvenica in Yugoslavia on July 29, 1938. 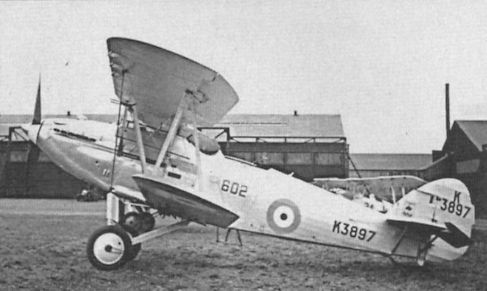 A total of 124 D.H.60 Moths was built for the RAF. 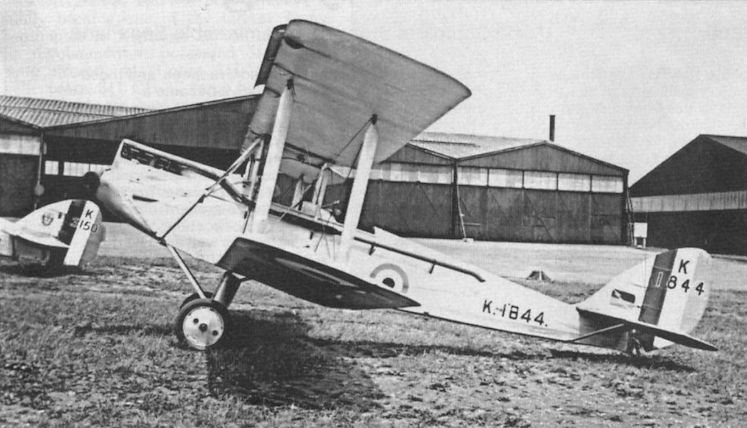 K1844 was a D.H.60M, a strengthened version of the Moth with a welded steel tube fuselage and wide cockpit doors. 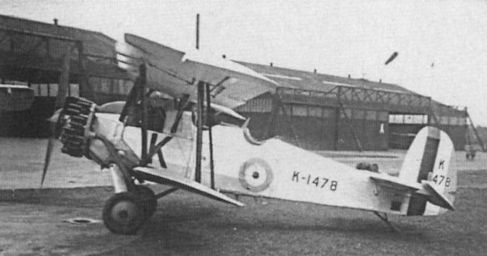 K1844 appears to have spent most of its time with the Royal Air Force College at Cranwell and was struck off RAF charge on February 27, 1939.